If the child/young adult is aged between 6 to 19 years, has a recognised disability or care/support need, and lives in South West Northumberland, then he or she meets the criteria for involvement in WECAN activity sessions. WECAN aims to meet the needs of as many children and young people with additional needs living in South West Northumberland as possible. We recognise the range of care and health needs and differing levels of financial support provided to families of these children and young people. Does the child/young adult fall under one of these categories? If NO, don’t worry, there are other methods of involving them in WECAN, please follow the guidelines in Sections C below. If after reading this document you are in any doubt which method of referral to follow to refer your child to WECAN, please contact the WECAN Office on 07741 480 188 where a member of the WECAN staff will be happy to guide you. Your named Social Worker can refer your child/young adult to WECAN via Northumberland County Council’s Family Support Team. Please contact your Social Worker to discuss a referral. The Social Worker will discuss with you the aims of your child’s involvement in WECAN, recommend the frequency of their attendances to the sessions and set a date for review of their involvement. Following your child’s social worker making a referral to the Family Support Team, the Social Worker, WECAN Manager and a representative from the Family Support Team will arrange to meet with you and your child/young adult to discuss their individual care needs and agree the objectives of involvement in WECAN. The cost of your child/young adult’s involvement in WECAN sessions via this referral method are met by Northumberland County Council Family Support Team. However, as a registered Charity WECAN relies on regular donations by parents/carers to fund the increasing cost of activities. Please speak to the WECAN Manager if you would like to donate to our general running costs. If your child/young adult has a Personal Budget or is in receipt of Direct Payments you can contact WECAN directly on 07741 480 188 (email info@WECANenable.co.uk) to request a referral for them to participate in our activity sessions. When you make contact, the WECAN Manager will ask you to complete some Information Forms and to return them to the WECAN Office. Once these forms are returned, the WECAN Manager will arrange to meet with you and your child/young adult to discuss their individual care needs, and to agree the objectives of involvement in WECAN. Where possible, the WECAN Manager will liaise with other professionals involved in the care and support of your child or young adult for additional information to help make a decision whether WECAN is appropriate for your child or young adult. The WECAN Manager will arrange to meet with you and your child/young adult to discuss their individual care needs and agree the objectives of involvement in WECAN. 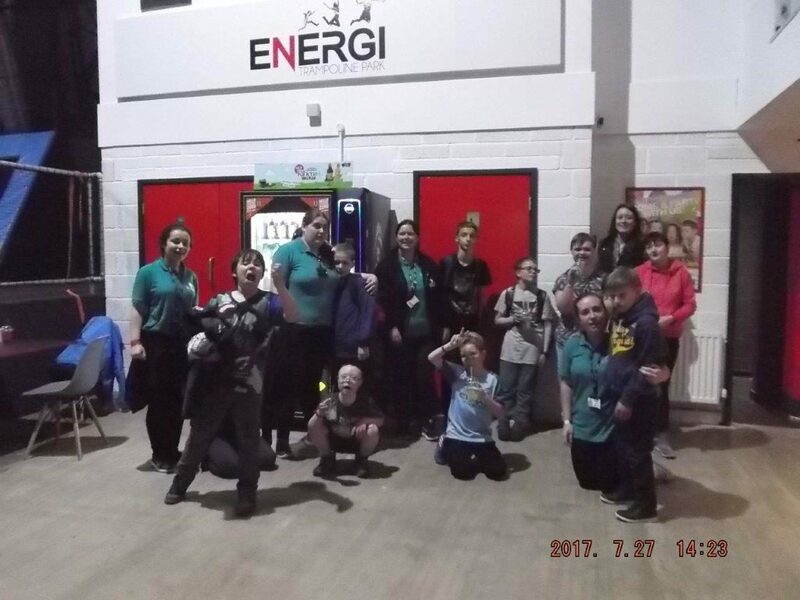 If you are the parent/carer of a child/young adult without an allocated Social Worker or a Personal Budget and they don’t receive Direct Payments to fund activity/short break activities, WECAN as a Charity have specific funds available to support your child/young adult’s involvement in activity sessions on a fortnightly basis. When you make contact, the WECAN Manager will ask you to complete some information forms (not capital letters) and to return them to the WECAN Office. Once these forms are returned the WECAN Manager will arrange to meet with you and your child/young adult to discuss their individual care needs and agree the objectives of involvement in WECAN. Where possible, the WECAN Manager will liaise with other professionals involved in the care and support of your child or young adult for additional information to help make a decision whether WECAN is suitable for your child or young adult.